Do You Need a New HVAC System? With the coming of winter comes mild temperatures in our neck of the woods, which means a reduced reliance on your heating and air conditioning system. Heaters are still used on chilly days, especially during the night when the weather is at its coldest, but it certainly doesn’t compare to the weather further north. That reduced need provides an outstanding chance to give your system a thorough evaluation and determine if you need repairs or replacement. Doing so now means you have plenty of time to schedule a replacement session before the weather heats up again, as well as ensuring that you don’t experience a sudden, fatal breakdown in a few weeks or months when you really need your HVAC system to respond. 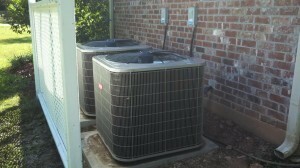 Posted in Air Conditioning | Comments Off on Do You Need a New HVAC System? Autumn has officially arrived, bringing with it cooler weather and easing the workload on your air conditioner. 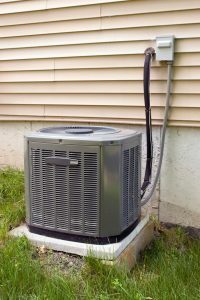 This season was especially tough because of the recent inclement weather, and centralized air conditioners with outdoor components may have suffered a great deal of damage. Now is an excellent time to schedule a servicing session to assess the state of your system and plan for repairs. With older systems, another question arises: is repairing it worth the effort, or should repairs be balanced against the system’s age and the money better spent on replacing the old AC with a new one? 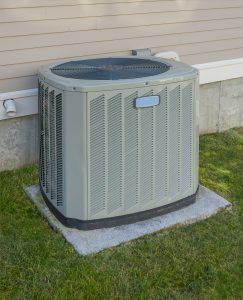 Here in Springfield, LA, summer has arrived, and now is the time to determine whether your air conditioner can go the distance for another summer, or whether you need to call in a replacement session to get a new one installed. Now is the time to do it, because the summer has just gotten started. Replacing the system now means you can enjoy the increased efficiency and improved performance all summer long, as well as all but eliminating the chances of a breakdown this summer. Warm weather comes early here in Springfield, LA, and if you’re in the market for a new air conditioner, now is the time to examine your options. You have a number of factors to consider, including the system’s efficiency and the presence of any new bells and whistles that new technology has brought. Before you can do any of that, however, one significant factor needs to be determined: the proper size of the air conditioner itself. Walker, LA is quite warm for most of the year, and our winters are brief in the extreme. January is one of the few months where our air conditioners aren’t called upon to work on a regular basis. If yours is getting older, you might be concerned about its ability to get you through another long Louisiana summer. Now is the perfect time to consider your options and plan for a replacement if your system is ready to be put out to pasture. But how can you determine that? We have a few suggestions for you. It’s been a long and brutal summer here in Walker, LA, marked by high temperatures, catastrophic floods and enough weather-based mayhem to fill an entire decade. We hope that your air conditioner has weathered it all as well as you have. With temperatures falling, now is the time to discuss a government mandate that might affect your unit. If the air conditioner in your home uses R-22 refrigerant, you need to give your friendly service professionals a call immediately.